You’re only 5 minutes and 4 ingredients away from having a chocolate dessert up your sleeve that impresses every time! 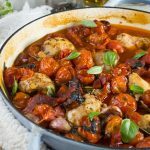 I love discovering and posting ‘cheat’ recipes that impress guests but take literally minutes to throw together. 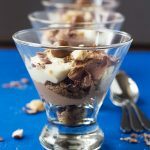 But I really think these 5-minute chocolate pots will be giving them a run for their money! I spotted this recipe in a little cookbook by an organic chocolate company called Green and Blacks (beautiful chocolate, by the way). I thought about jotting it down, but didn’t even need to. The recipe’s so easy, I just remembered it. Step 1: Melt 200 grams (that’s 7 ounces) melted chocolate (2 minutes tops). Step 2: Stir 100 ml (just under half a cup) boiling water into it (1 minute). Step 3: Whisk in 100ml (just under half a cup) double cream (about half a minute). Step 4: Pour into shot glasses or similar (1 minute tops). Step 5: Leave to set in the fridge and … enjoy! These little chocolate pots are rich, as you can imagine. But honestly, not overly so. They’re like a chocolate ganache, but with the bit of added water they’re more like a luxury pudding. I used a mixture of dark and milk chocolate for my chocolate pots, in a ratio of about 2 to 1, but you can use all dark chocolate or all milk if you prefer. I also served them with a dollop of whipped cream on top and a piece of shortbread (both of these optional of course). 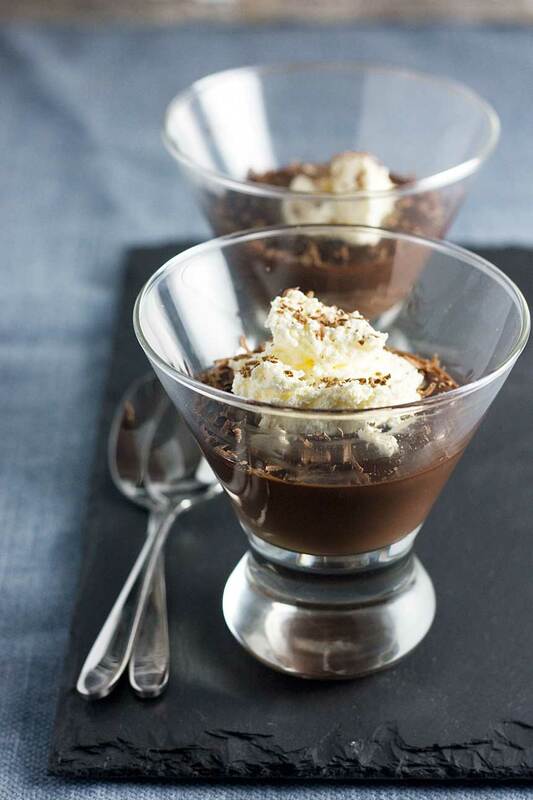 These chocolate pots are definitely one of my go-to quick impressive desserts. Give them a try! There’s no way your guests will realise they only took you 5 minutes, you sneaky thing. These whiskey shot glasses (affiliate link) would be perfect for serving your chocolate pots! Scroll down to the video below the recipe to watch exactly how to make these! 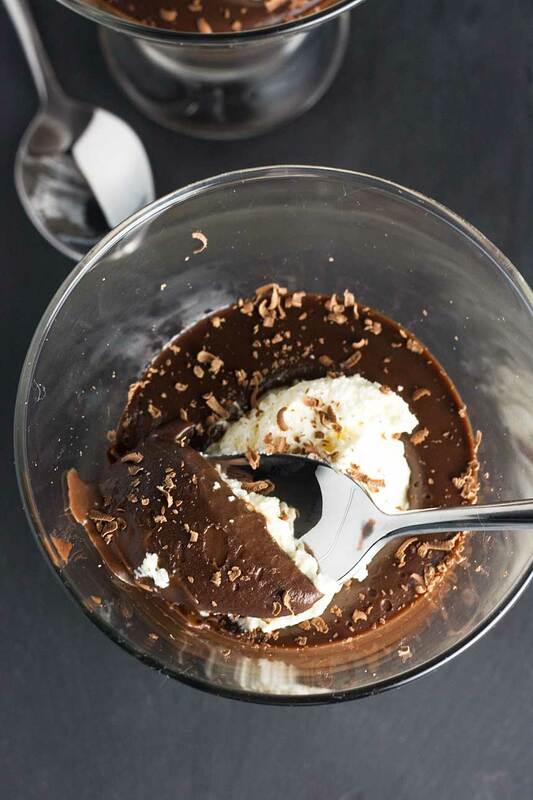 5 minutes and just 4 ingredients for super simple chocolate pots that will impress any guests. Enjoy! Break the chocolate up into a medium bowl, then melt in the microwave in 30-second spurts*. Add the water little by little, stirring until you have a smooth paste*. Whisk in the cream and vanilla (if using). Pour into shot glasses or similar and let set in the fridge (IMPORTANT: see note!). Just before serving, top each dessert with a splodge of whipped cream and a bit of grated chocolate (if you like). Original recipe by Green and Blacks. *You can also melt the chocolate in a bowl over a saucepan of simmering water. Just make sure the bowl doesn’t touch the water. *The chocolate will go stiff and grainy when you first start pouring the hot water in, but don’t worry. Just keep adding water and stirring until the mixture becomes smooth again. IMPORTANT: A note on getting the chocolate pots to set correctly! The original recipe that inspired this post said to leave the chocolate pots in a cool place to set for 45 minutes. I find though that that's no way near long enough for them to set properly. I prefer to let my desserts set in the fridge for a few hours before serving! To be honest... 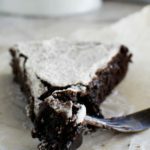 I've tested and tested this recipe over several years and I find that the results vary very slightly each time according to what kind of chocolate and cream is used. It's important to use heavy/double cream or even thickened cream and to use really good quality chocolate (at least 40% cocoa). Chocolate with less cocoa in tends not to set so well! I used dessert glasses for my chocolate pots, because that's what I had, but shot glasses or even espresso cups work really well. 5 minutes to a creamy chocolate dessert? I’m sold, Helen! These look so decadent and delicious, and they would definitely be the hit of any party! Happy New Year Helen! What a gorgeous dessert to start the year with! So easy to make, too! Pinned to try it! Thank you so much, Mira. I figured I should start the year with a good one, even if it isn’t very good for us … ahhaha! 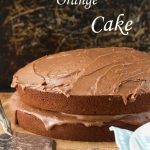 I love how your aren’t conforming to all the cleanse and detox stuff around at the moment and you are posting a chocolate recipe. Yay! Helen!!! I wish I hadn’t given up sweets for the foreseeable future! Hello Hillary! Oh, now why have you gone and done that? Isn’t there a bit of scope for a tiny little chocolate pot? These look absolutely delicious! The fact that they can be made in just 5 minutes is even better! This recipe is going to come in very handy when a chocolate craving hits! A creamy chocolate dessert that contains only 4 ingredients?! Count me in!! I can definitely set aside 5 minutes of my day to make this. It looks delightful! Perfect, all the great ingredients, and only a few minutes to prepare. Hello Amy! So happy you like these! Hellen, happy New Year!! Much health, joy and prosperity!! And many new readers on this wonderful blog! Really happy you like the chocolate treats and hope you give them a go some time. Oh, and HAPPY BIRTHDAY of course. Have a piece of chocolate cake for me! 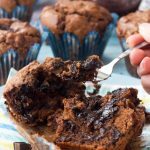 Hey – chocolate is healthy (at least it keeps my sanity in check and that’s ALWAYS healthy for me) so I love that you posted these pudding cups right now! 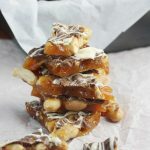 They look so so rich and luscious – and love your idea to add orange zest to these! Mmm mmm mmm! Happy New Year, Helen! These are totally acceptable during healthy eating season because chocolate is packed with antioxidants, isn’t it? 😉 They look delicious and I love how easy they are! Hi Helen, this is so dreamy, I can see myself eating way to many of these. 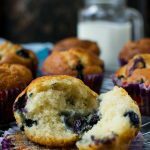 Everyone is going healthy this first week of the New Year – so glad you changed it up, you rebel , you 😉 Seriously though, these look ridiculous good and after all the craziness of the holidays, I love that this is just 4 ingredients and 5 minutes! Thank you for affirming me in my rebelliousness, Kathleen! 😉 I like that you’re seeing this in terms of post-holiday-craziness minimalness, too – love how you always see things a bit differently! Happy New Year Helen! I definitely lightened things up as far as my daily eats are concerned now that it’s post-holidays, but I still save room for dessert. No deprivation here! These chocolate pots are calling my name big time. Both because they’re easy and use so few ingredients. Beautiful! Ohhh these little cups just look irresistible! The more chocolate the better! Tu n’as pas besoin de t’excuser Helen, quand on poste une recette comme ça, on te dit merci!! Ce petit dessert peut me sauver dans nombreuses occasions et c’est très bien aussi pour les jours de pluie et vent comment aujourd’hui! Un vraie réconfortant ! 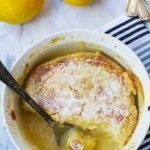 I love that you are a little rebel as I would not have to wait until next holiday to get this recipe. Easy and delicious, love that. I love even more are your photos! Just stunning! I want to dig my spoon right into one of those cups. 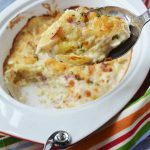 I’m having such a delightful time catching up on your blog, and this recipe is a perfect example of why I’ve missed you! Oh my! Gorgeous! And how many ingredients?!?! FOUR?!?! And only five minutes? Game on! I made pots de creme for our Christmas dessert—you’ve made me want to make them again! Gorgeous!!! 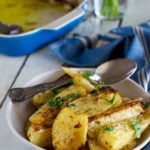 Really happy you’re going to give these a go, and hope you and your guests like them! Aww, sorry to hear this, Marie. How long did you leave them to set for? Mine haven’t set either after 10 hours in the fridge 😢 I knew as I was adding the water it was far too much to set! Guests will be here in a few hours, wondering if I should try them in the freezer for a little while before they arrive?? Hi Ruth. 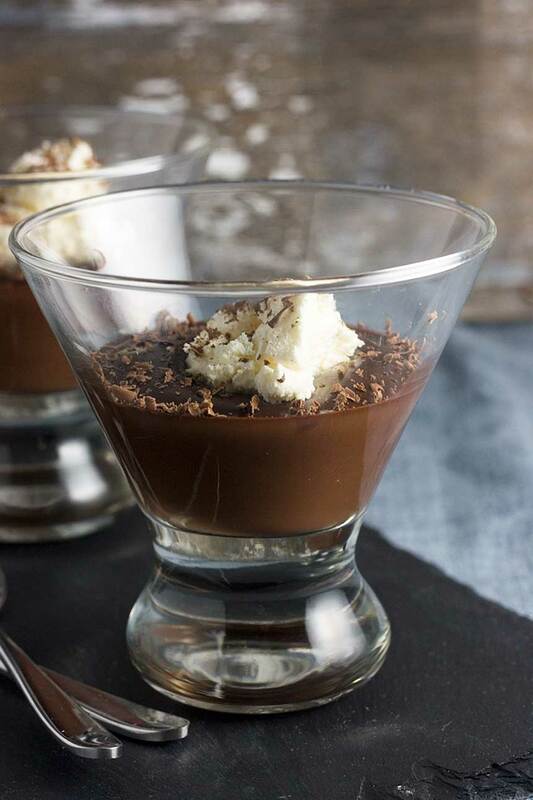 The chocolate pots should be the consistency of a rich ganache or thick chocolate sauce – they shouldn’t be either really runny or super thick. The amount of water is correct. It’s half the amount of water as chocolate, and just a bit more heavy/double cream (125ml). I hope your dessert was OK in the end! Hi Ruth, wow that’s a relief! Thank you so much for popping back and letting me know. If you prefer metric (UK) measurements, there is a little button you can click just under the recipe. You may have already seen it but I just thought I’d point it out just in case! Glad this wasn’t a total disaster after all. I was a bit worried about it for you! So relieved, Ruth. Thanks for letting me know! I am planning to make this dessert for about 15 people…so need to add to the quantity of ingredients. am a bit worried about mixing just boiled water to melted chocolate? and then adding cold cream to the warm chocolate and water mixture…will this cause any problem? any tips I need to be aware of? Hi Ekta! My favourite way to serve this is in little shot glasses or espresso cups, as it’s delicious but rich. You could serve it with some nice shortbread or similar if you’re worried about that looking ‘enough’. This way you would only have to double or triple the recipe to get enough for 15. You could try a small batch trial run to be sure, but you should be fine. Good luck! 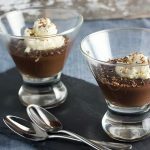 I have never tried making chocolate pots, but these look so easy I have to now! Hi Dana! You really do have to! This is a fabulous way to get a quick chocolate fix. Love the dark and milk chocolate combination. Perfect for a dinner party! So happy you like these, Sandra, and I hope you’re tempted to give them a try some time! So easy ..so delicious ..made it twice now…one of hubbys favourites.